We are delighted to have taken over the running of the Battle of Lansdown. Our first edition will take place on Saturday 30th March (ENTER HERE), and we look forward to adding our professionalism to an already well-established, hugely popular event. 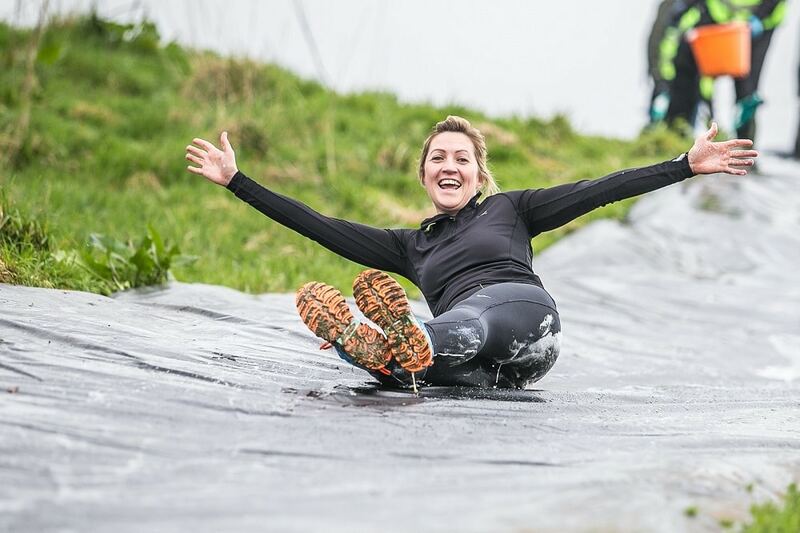 The Battle of Lansdown attracts many first-time obstacle course races, and we wanted to help those newbies with a few initial training tips. 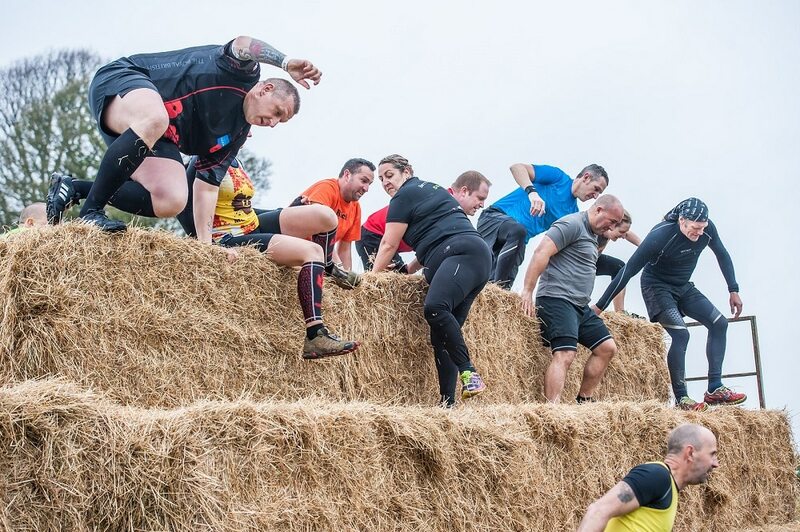 An OCR like the Battle of Lansdown is very stop-start, unlike ‘normal’ running races. You need to train for this! It’s simple to do: on a run, just once you’ve found a comfortable pace, stop! Maybe do a couple of press-ups or squats and then crack on. Do this a few times throughout the run, forcing yourself to break your rhythm even when you don’t want to. It’s surprisingly hard at first but will become easier with practice. 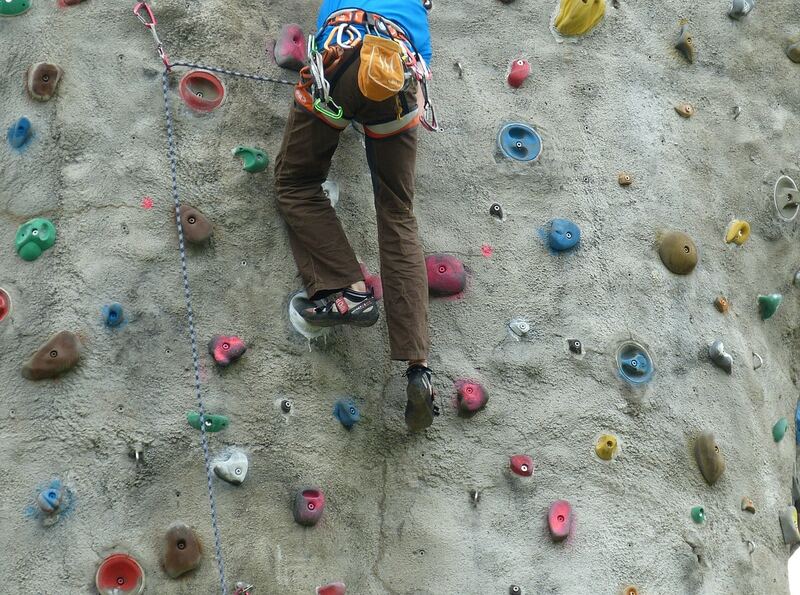 Many obstacles will require hand and grip strength. You don’t need to be a pull-up guru to get through a course but developing the ability to “hang out” will benefit you on the big day. Use a doorway, pullup bar or even the monkey bars at the playground and develop your hand and forearm strength by gradually increasing the amount of time you can hang for. 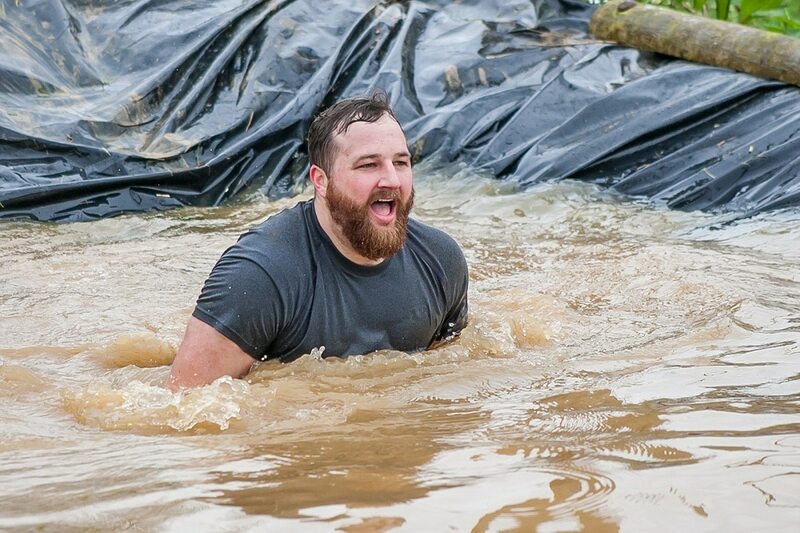 Strength is a big factor when it comes to obstacle course racing. Whether you’re climbing a travellator or ascending a rope net, the ability to repeatedly lift your weight is crucial. Run on hilly trails, do hill repeats and add squats to your exercise routine just a couple of times per week. 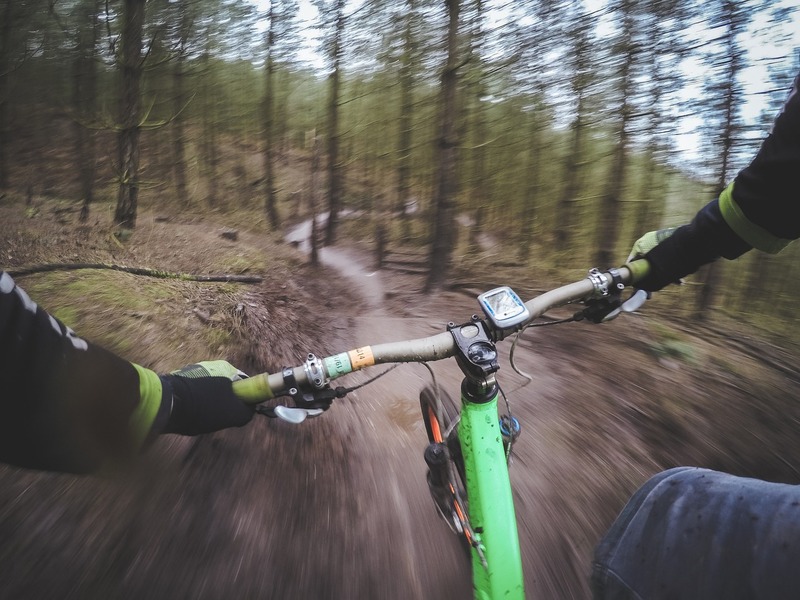 Focus on strengthening your quads, hamstrings and glutes and you’ll not only have a more enjoyable day at the event but will also reduce your risk of injury. Even though an OCR is mainly about the obstacles, don’t neglect run training. An obstacle course race may “only” be 10km, but the time on feet and energy required is more akin to that of a longer race! Doing a fortnightly long run will build endurance, strength and mental toughness, all of which will help you on the day. Plus, the cardiovascular gains are always welcome. As with any event, training can get boring and lonely at times. Having a group to train with makes it much easier. We’re in contact with a few local training outfits with whom we hope to start some training sessions, which we’ll share when we have more info! 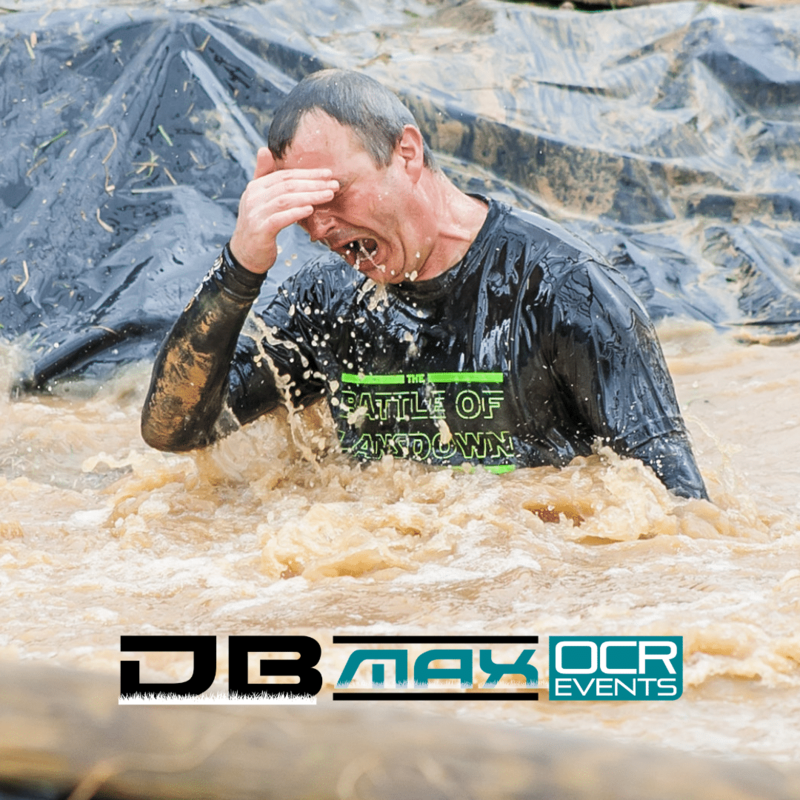 Once you’ve read through this and are confident you can tackle an OCR in 2019, get a group of friends together and enter one of the south’s premier obstacle course races, the Battle of Lansdown. “I started running in May 2016 as a complete novice through a C25k course with run4life. I was amazed at how quickly my fitness improved and on the final week we all ‘graduated’ at the local parkrun. I fell in love with running, I was a regular at parkrun and entered my first 10k at the end of the year. 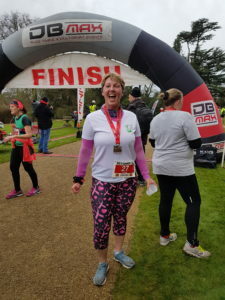 Running massively improved both my physical and mental health, I’d never felt so well and was completely shocked when I was diagnosed with stage 3 breast cancer in May 2017. I was determined to keep running as much as possible throughout my treatment and my running family were amazingly supportive, no matter how slow I was. I remained a regular at parkrun, running, walking or volunteering when I could. I decided to celebrate beating cancer by running ten 10k races in 2018. My first was Frenchay 10k which I ran with my friend Kacie – it was very hilly but I was thrilled to complete it. 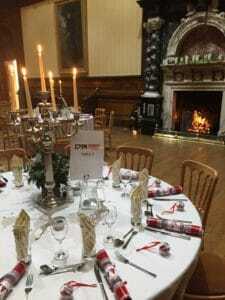 My final one was at Westonbirt House on Sunday and I was thrilled to end my challenge with mulled wine and a mince pie in such a beautiful location”. 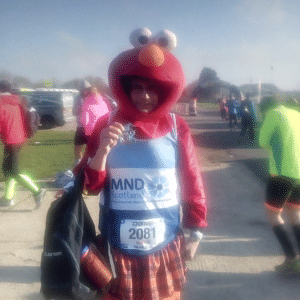 Anyone who ran the Chilly 10k last month will have been hard-pushed to miss Elmo running. The man behind the costume is Dougal Campbell, and he’s on a mighty mission. “The Chilly 10 will be my 25 race this year for MNDSCOTLAND which has included 4 marathons in 30 days. I been fundraising for them 2 years now. All my medals are passed to MNDSCOTLAND to pass on to sufferers of Motor Neurone Disease. 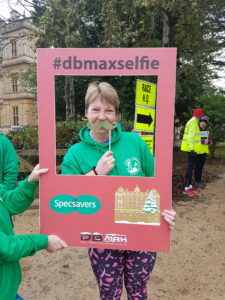 Specsavers are delighted to be supporting The Westonbirt House Christmas 10k in 2018. Why do so many people who wear glasses choose Specsavers? It’s simple – whether you are in store or online they offer an unbeatable combination of style, value for money and expertise…..
You can be sure to find the glasses that are just right for you – their catalogue of over 1,000 glasses are the widest selection in the UK. They are always sourcing the latest materials and following fashions from around the world to bring you an unequalled choice – the latest trends, designer labels, materials, colours and frame shapes. 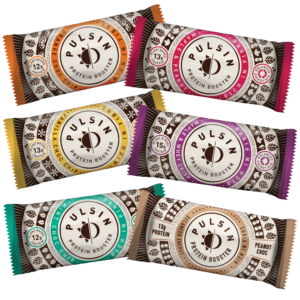 The nutritious Pulsin bars will be on hand to fuel DB Maxers at the finish line. The place to look for a special post-race treat! Plus look out for a very festive Max the Monkey who will be handing out Pulsin kids bars in and around the finish area. Our running event retail partner Up & Running will be hosting their on-site shop and will have a selection of quality products for runners. They specialise in running shoes, running clothes and running accessories, with products from today’s key running brands and will be bringing lot’s of sale shoes for those last minute Christmas gifts. With more than 21 years of running retail experience, they never stop thinking about you the runner and your running needs. They will be happy to offer DB Maxers expert advice and to help you choose the gear that’s right for you. They will be providing our category prizes. They will have many styles and colours available to choose from on the day. So if you need to get your head in the game, these hats are perfect at keeping your ears and head warm from the chilly weather. All the hats are one size and can be purchased for £20 or two for £35. They will also have some funky socks which retail at £5 each or 4 for £10 so a great ideal for stocking fillers . They are kindly providing prizes for some of the winners. 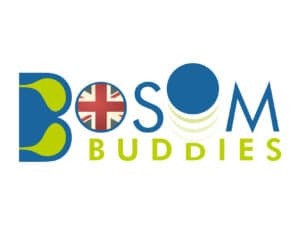 Bosom Buddies will to be supporting this event and have donated some prizes for the lucky winners and 10% off sales on the day. They will be bringing a wide range of British made sportsbras and sportswear to try. Sam from Bosom Buddies is passionate about ‘Fit’ not being a size, but a feeling and she has plenty of stock in plus sizes & various leg lengths. Feel free to browse and try on, as Sam will be there to give you expert advice if required. 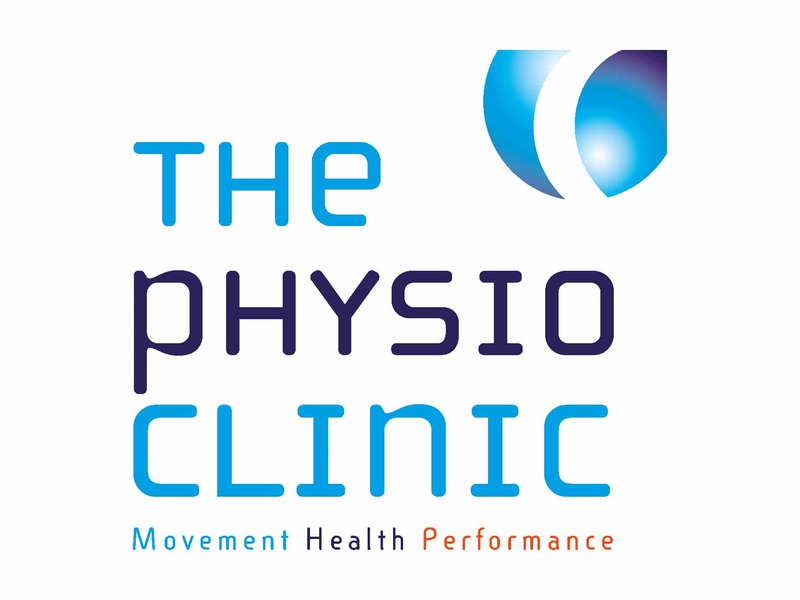 2018 is rapidly coming to a close, but it’s all systems go at The Physio Clinic Bristol. 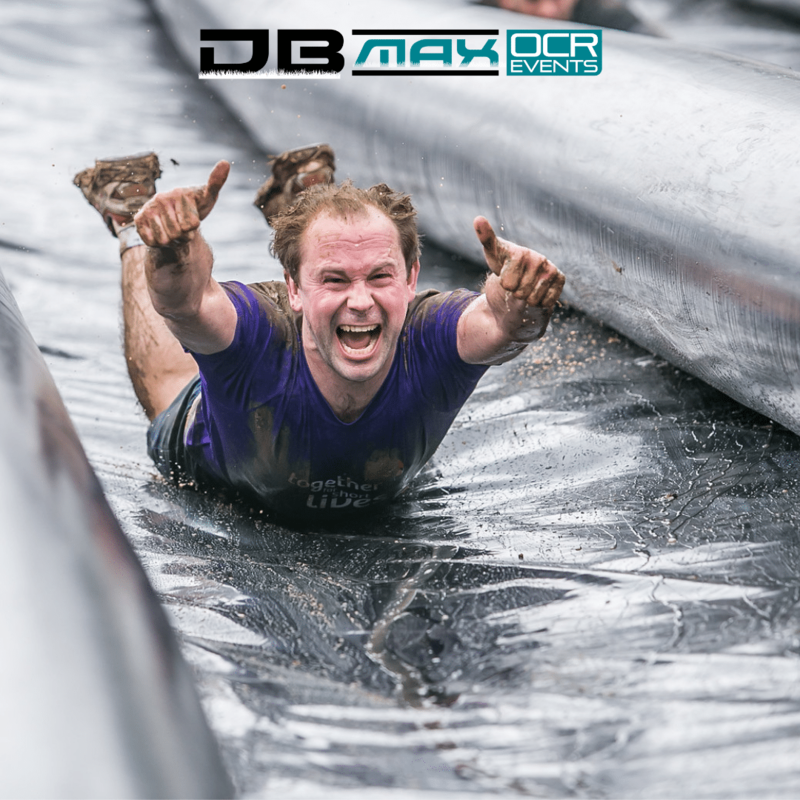 This is their 6th year supporting DB Max’s events, providing sports massage at several of our events and we are delighted that they are working with us again in 2019 on even more events. Next year’s schedule looks bigger and better than ever and its’s great that they will be part of the support team. Based in Malmesbury, this local fencing supplier is providing the beautiful Christmas trees that you see at the finish. 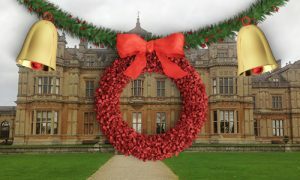 We look forward to seeing you all at a very festive Westonbirt House. If you have booked in for lunch there is no strict dress code because after your run you may just want to put on some comfortable clothes! If you require a shower before lunch then they are available at the leisure centre which is on the premises, approx 500m from the house. Please enter the Great Hall (featured below) between 13:30 and 13:50, ready for the meal at 14:00. 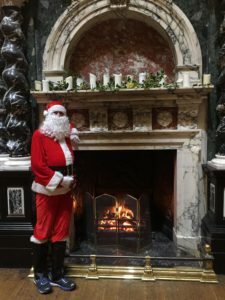 We look forward to seeing you for a festive lunch. 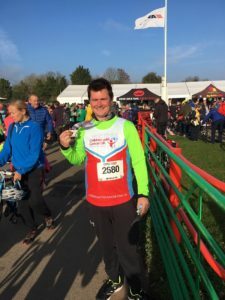 Bradley Moore tackled the Chilly 10k this November and ran as part of the Brigstowe team. 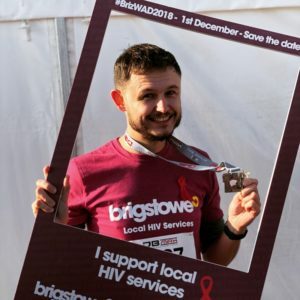 “As a clinical nurse specialist in the Bristol (Brecon) HIV team, I see and value the huge support and help the Brigstowe charity provide to those living with HIV in the Bristol and surrounding area. Click here to read more about Brigstowe.